Andre Small says yes to academic challenges. His reward? A future in medicine. Andre Small says he didn’t have a strong science background when he arrived in the College, but his courses are pushing him to grow academically and gain the necessary knowledge for medical school. “As a Direct Admit, I had the resources to develop a four-year course plan that was very specific to my major,” says Small, a Biology major who is also a Hudson and Holland Scholar. 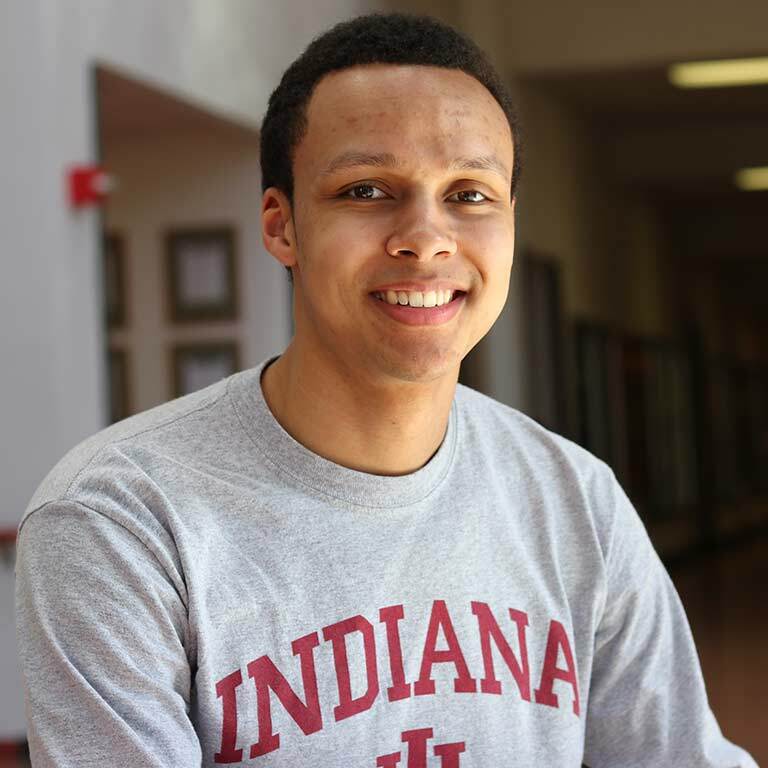 When not immersed in his studies, Small serves as a volunteer coordinator at Read to Succeed, a program at the Bloomington Boys and Girls Club. There, he oversees a group of eight volunteers who read to elementary students at risk of falling behind. Twice a week, he hosts hour-long reading sessions with the students. In the summer of 2018, he will intern at The Johns Hopkins University Research Division of Pulmonary and Critical Care Medicine. Through his coursework and real-world experience, Small is preparing for a life in medicine. “I feel like I’m building my foundation for my career,” he says.